Having recently become the owner of Oakwood Dental Practice, the principal dentist Dr Barbie Devall and her team welcome you to visit. Located in the heart of Oakwood, Leeds, our dental practice is proud to provide high quality, affordable family dental care, in a friendly and relaxed setting. Our experienced team offer a broad choice of treatments and strive to provide you with an excellent standard of care, whether you are under NHS or Private care. Our dental services range from regular check-ups and preventative dental care to more advanced treatments to improve your smile, such as orthodontics, teeth whitening and teeth straightening. We are also certified and qualified to administer anti-wrinkle treatment, Botox, and dermal fillers. 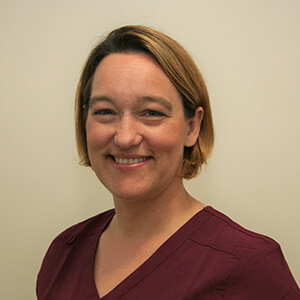 Penny joined Oakwood Dental Practice in 2016, having previously managed two other dental practices. Penny has a wealth of business experience which is invaluable as she keeps the practice running smoothly, whilst also juggling the role with being mother to two girls! Sandy qualified in 2011 from the University of Birmingham. She has worked in a variety of dental settings, gaining a wealth of experience in general dental practice. Sandy joined the Oakwood Dental Practice team in 2016. Sandy has attended postgraduate courses in Aesthetic dentistry and carries out short term orthodontics. She is particularly passionate about facial aesthetics, including anti-wrinkle injections and dermal fillers. Mehwish graduated from the University of Glasgow in 2016. 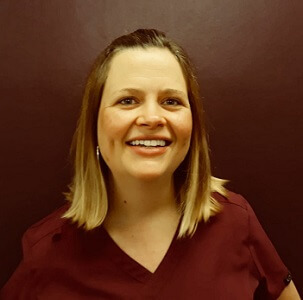 She joined the team at Oakwood Dental Practice in September 2017. Mehwish has a passion for delivering high quality dental care and improving patients’ smiles. She is particularly interested in developing her skills to straighten people’s teeth, using ‘invisible’ braces. Mehwish also has a great rapport with all of her patients and her calm and gentle approach helps to ease patients’ fears. 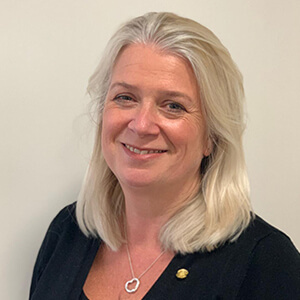 After qualifying from Newcastle University in 2002 and completing vocational training, Gwyneth worked for a number of years in hospital, training in both surgical and restorative dentistry. It was a post at Leeds Dental Hospital that brought her to Leeds in 2004. 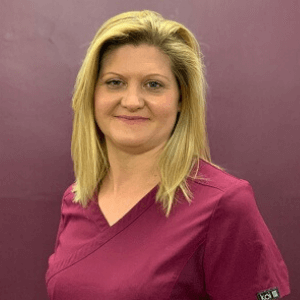 Gwyneth joined Oakwood Dental Practice in January 2019. Prior to that, she had been working in general dental practice for over a decade, during which she has attended postgraduate courses in restorative dentistry, occlusion, aesthetic dentistry and Invisalign clear orthodontic aligners. Sahana graduated from SDM Dental University, India in 2007 and moving to the UK, she achieved her GDC registration. Following completion of her MFDS qualification at the Royal College of Edinburgh, Sahana worked for a number of years as an Associate Dentist in general dental practice. 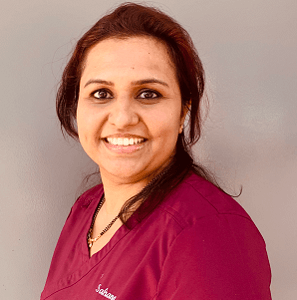 Sahana joined the Oakwood Dental Practice team in January 2019. She enjoys all aspects of dentistry and is particularly passionate about cosmetic dentistry and developing further skills in facial aesthetics. 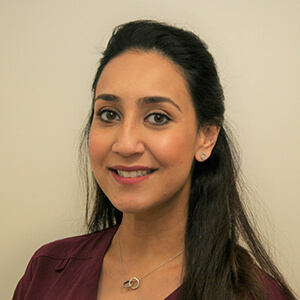 Malisa qualified as a dental hygienist and therapist at Leeds University in 2008 and since then has worked in both NHS and private dental settings. Prior to that, she had extensive experience in the dental environment, starting as a dental nurse and then leading on to receptionist and practice manager. 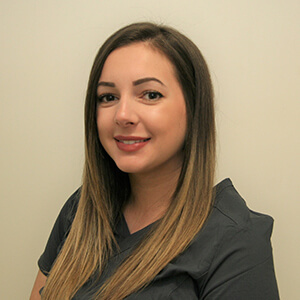 Malisa joined the team at Oakwood Dental Practice in January 2019. “I am passionate about motivating and delivering bespoke oral health information to patients, particularly when combating periodontal disease. 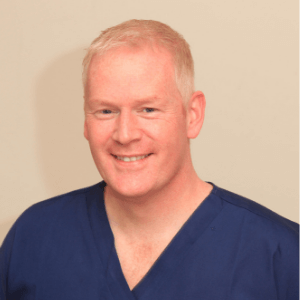 Gavin is a dental therapist and hygienist and qualified from the Leeds Dental Institute in 2003. He looks after the oral hygiene and gum health of our patients and restores teeth using some of the best materials available. He provides all the treatments therapists are able to carry out, including tailored hygiene programmes, definitive dental restorations, fissure sealants, fluoride applications and the take-home whitening service. He prides himself on his friendly nature and gentle, yet thorough, approach. He is particularly interested in the prevention of dental disease and is enthusiastic about educating patients on their oral health. Gavin joined the team at Oakwood Dental Practice in April 2019. Lauren qualified in 2012 with a CertHE in Dental Nursing from Teesside University after which she moved and settled in Leeds. Lauren joined the team at Oakwood Dental Practice in 2015 and has been the practice’s implant nurse since 2016. 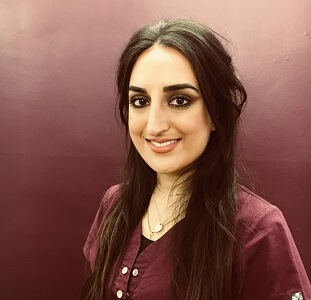 She enjoys all aspects of dental nursing but, having previously spent time at the maxillofacial department at Burnley General Hospital, is particularly interested in assisting for implant treatment and minor oral surgery procedures. 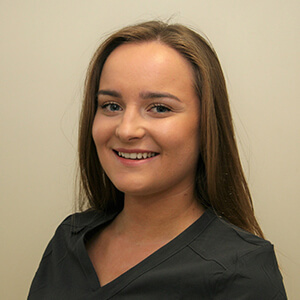 Emily joined Oakwood Dental Practice in March 2015 as a trainee Dental Nurse and receptionist. Prior to starting at Oakwood, Emily worked with adults with learning disabilities, mental health issues and challenging behaviour for nine years. In March 2016 Emily qualified as a Dental Nurse and in March 2017 was appointed the role of Decontamination Lead. 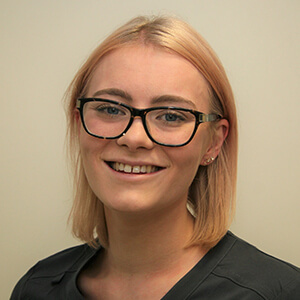 Rebecca joined Oakwood Dental Practice in July 2018. She qualified as a dental nurse in 2016 and will soon qualify as an Oral Health Educator, able to provide both one-to-one and group sessions on the best ways to keep dentally healthy. Rebecca is also one of our reception team. Having previously worked in childcare prior to her nursing career, Rebecca can often be found keeping the children entertained in the waiting area! “I am passionate about teaching better oral health to the general public, and am really happy to be a member of such a great team here”. 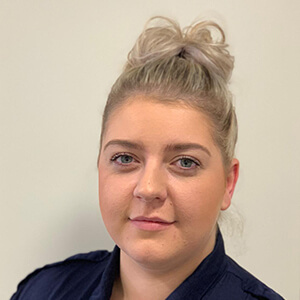 Hannah joined Oakwood Dental Practice in November 2016 as a trainee dental nurse and qualified in December 2018. Hannah plans to develop her studies further by going to university to study dental hygiene and therapy. 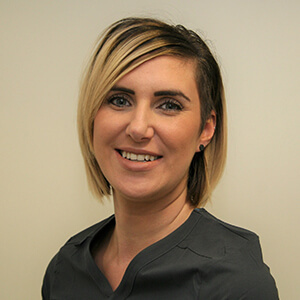 Leah joined Oakwood Dental Practice in 2016, having worked in customer services for 10 years and specifically in dentistry for around five years. Since working at the practice Leah has gained a diploma in customer service.